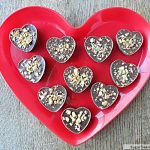 Four ingredients and about 10 minutes of your time is all you need to make these little nut free Valentine candies! 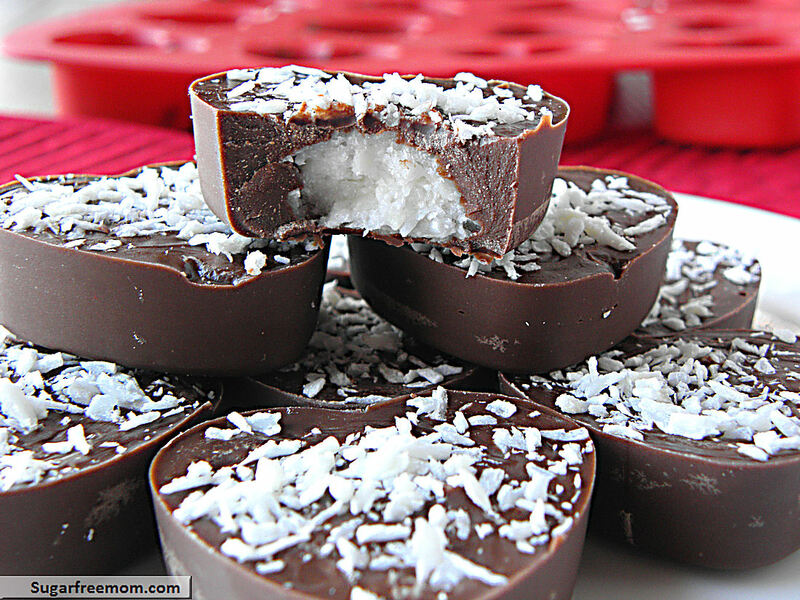 The popular name might be MOUNDS, the nut free version of Almond Joy, remember those? Well, these are for all of you and your family who have nut allergies like my boys! 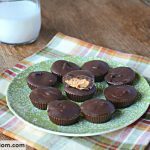 This recipe is a simple adaption of the Valentine Peanut Butter Cups I posted recently. My boys were so disappointed they couldn’t have any. My daughter and hubby on the other hand were thrilled they could keep them all to themselves! If you or family don’t have a soy allergy then soy nut butter would be an option or sun-nut butter made from sunflower seeds. Unfortunately my boys hate them both so I had to think of something else. While walking on my treadmill God gives me the best ideas for recipes! The catchy commercial tune rang in my head, “Sometimes you feel like a nut, sometimes you don’t!” The MOUNDS type candy was created in my head and then I had to test it on the picky boys. Of course they LOVED them and were so excited they even shared some with sister and daddy, although reluctantly! 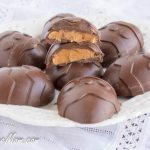 Even the picky hubby thought they were great, although he is partial to the peanut butter ones of course. 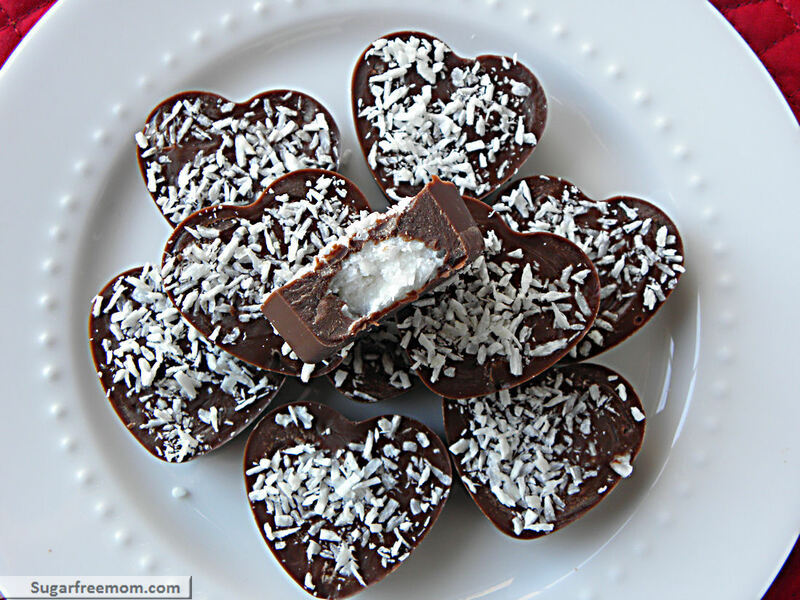 In a small bowl melt carob chips and 2 tablespoons of coconut oil in the microwave or in a pot on the stove. In another bowl mix 2 more tablespoons of coconut oil with 2 tablespoons of shredded coconut and stevia. 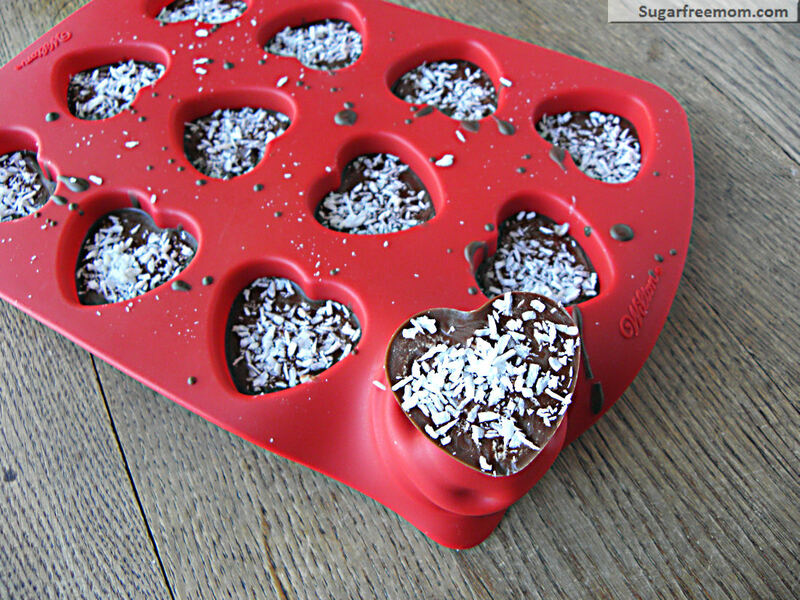 In a silicone mini valentine shaped mold or mini cupcake liners, fill each with 1 teaspoon of chocolate. Add 1/2 teaspoon of coconut mixture. 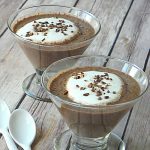 Cover each with 1 1/2 teaspoons of chocolate. 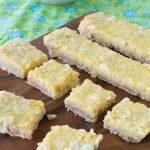 Top with remaining shredded coconut. 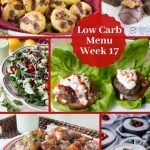 Net Carbs: 6.1g If you use unsweetened carob chips instead of sugar-free chocolate chips, your carbs will be 4g per serving. What the difference between Carbo chips and regular chocolate chips? I assume they are better for you, sugar wise? and taste? the regular chocolate chips almost always have sugar in them, except when I found the brand by Sunspire which were grain sweetened with barely malt. They haven’t been around in a while so I’ve chosen carob chips sweetened with beet sugar as an alternative. 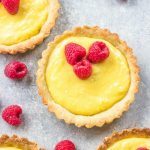 Could Splenda be used in place of Stevia or is there a major difference between them? I don’t use Splenda but I guess you could. Stevia is not artificial. I will have to try this!!! I like the Stevita brand Stevia Supreme the best. WAY less after taste and I sprinkle it on everything from shredded wheat to fruit. You can find it here discoverstevia.com. Thanks for the recipe! 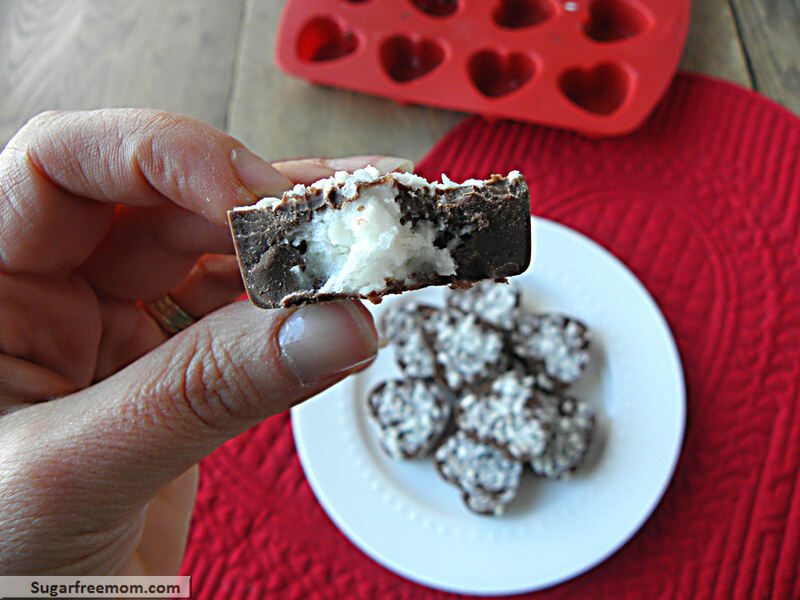 I made these but my organic far free carob chips did not melt- help?? What brand did you buy? Were they sweetened or unsweetened? Did you add the coconut oil to it to melt it? Unsweetened carob chips are good too, in my opinion. 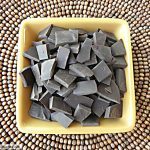 Carob is naturally sweet and the unsweetened ones are plenty sweet for me. 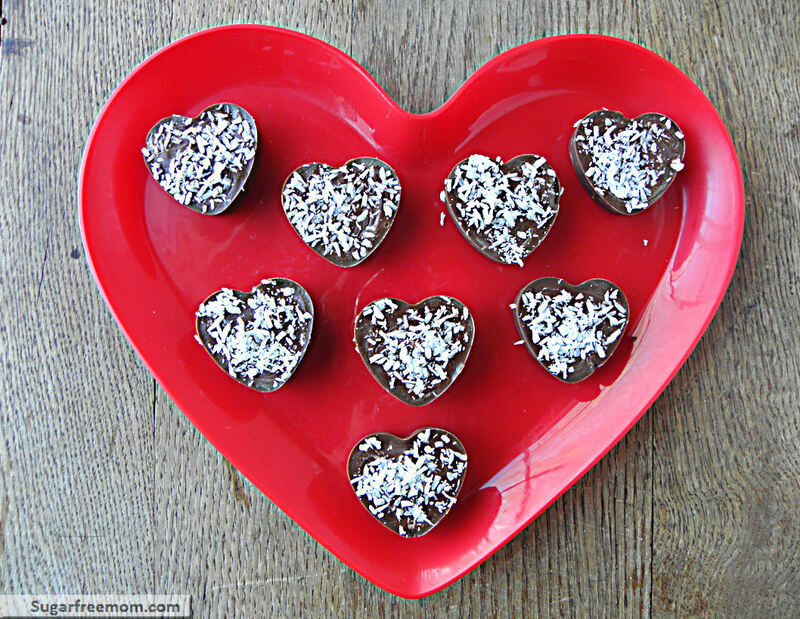 How will I ever choose between the peanut butter and the coconut ones to make for V-day? I may just have to do a batch of each! Yes I like unsweetened as well, but that wouldn’t work for my kids and hubby LOL! 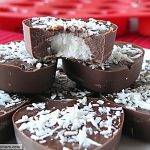 Finally got to make these little coconut delights and the peanut butter cups yesterday after I got home from the office. I finally found some carob chips on a trip to Central Market. Both recipes were very easy to make and I now have some new things to experiment with: carob chips, coconut oil and Stevia. All of our family really enjoyed these, and my Dad who has diabetes was able to enjoy this sweet treat too. 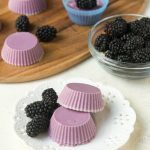 Thanks for another great recipe! Can you use something to substitute stevia … and if so, what would the measurements be?? Looks so good!!! Hmmm maybe honey but try only 1 tablespoon , it may be very loose, not sure. Let me know if you try it. is it liquid or powder? 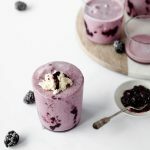 You can add 1/2 teaspoon then taste it and decide it you need more. I SO want to try these!! Now where can I get the mold you are using? My search comes up with ice trays….